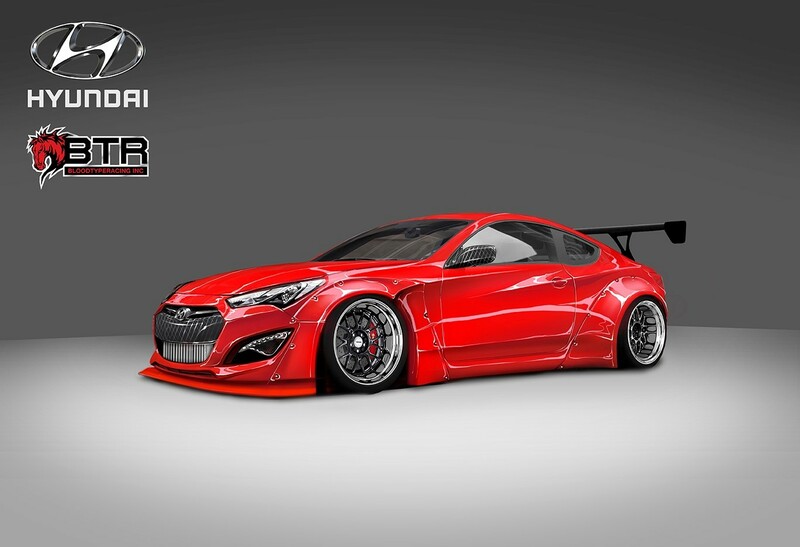 Hyundai’s working on another SEMA collaboration guaranteed to raise your pulse! It’s a 2014 Genesis Coupe that’s being modified and upgraded by Blood Type Racing (BTR). Hyundai says the BTR Genesis Coupe “combines massive power with the true, adrenaline pumping experience of underground racing.” Look for the big reveal at the pre-event news conference on November 4th. Earlier this month Hyundai revealed another vehicle to appear at SEMA. The 2014 Genesis AR550 is a collaboration between Hyundai and ARK Performance. To read the complete BTR Genesis Coupe press release click here.